Wizard Malvel’s final Beast has reached the doors of King Hugo’s palace! Stealth the Ghost Panther lassoes his victims with his tails, making good people turn bad. 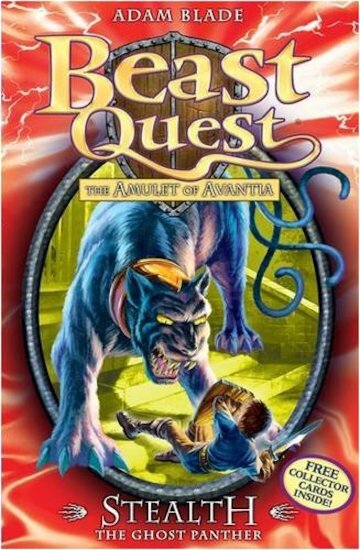 To rescue his father, Tom must capture the final piece of the Amulet from Stealth’s collar – before all Avantia turns evil! Can he do it? YOU CANT READ IT !!!!!!!!!! !